Annunciation Catholic Church has begun a new Teens Service Saturday Mission. We would love for your 7th-12th grader to join our group one Saturday, two Saturdays, or every Saturday! Whatever works for his/her schedule. These Service Trips can count toward your child's school volunteering requirements. 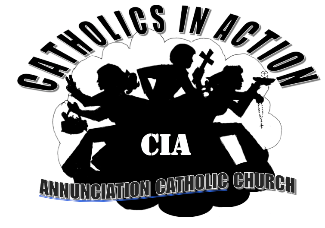 They definitely count towards doing God's work, putting their faith into action, and staying involved with Annunciation. All drop-off and pick-up will be done at Annunciation, unless planned otherwise by the driver(s). Serving for IONA will always meet at IONA and not at Annunciation. Email Patrice or Sue Lohsen if you have any questions. If your car fits more than 4, please let us know. I can take the teens to deliver the food. My truck fits 7 teens. Marie. It's possible she'll bring a friend.